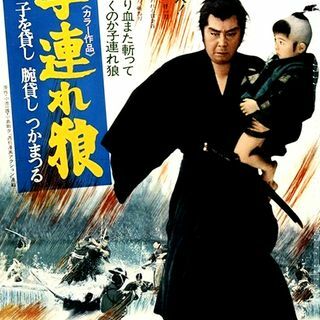 Lone Wolf and Cub: Sword of Vengeance is the first film in the film series based on the influential Japanese manga Lone Wolf and Cub and it's a hell of a first entry. It stars Tomisaburô Wakayama as the titular executioner turned assassin who roams the countryside looking to avenge his honor and the death of his wife at the hands of a rival clan. Mike White joins Chris to discuss the latest film in Samurai September and it's over the top action stylings. As always, you can follow ... See More Chris Stachiw at @KultureStach, Eric Kniss at @tychomagnetics and Kulture Shocked at @KultureShocked. The music is Wovoka’s “Lament,” and Da DeCypher’s “Two Step featuring Ben-Jamin”; big thanks to both for allowing us to use their tracks. Also, make sure to check out Jilly's Socks 'n Such for not only awesome socks but also gifts for any occasion! You can also subscribe to the Kulturecast on iTunes here. Also, don’t forget to check out our official Facebook page for news, upcoming reviews, contests, and new content along with our Patreon page.